Despite being fairly new to the industry and a few films old, Bollywood actress Disha Patani has been creating a buzz. She has swept the nation with her viral dance moves recreating iconic dance videos and winning the internet over and over again. The actress recently shared a video of her high-octane Kung-Fu workout and made it look fun. 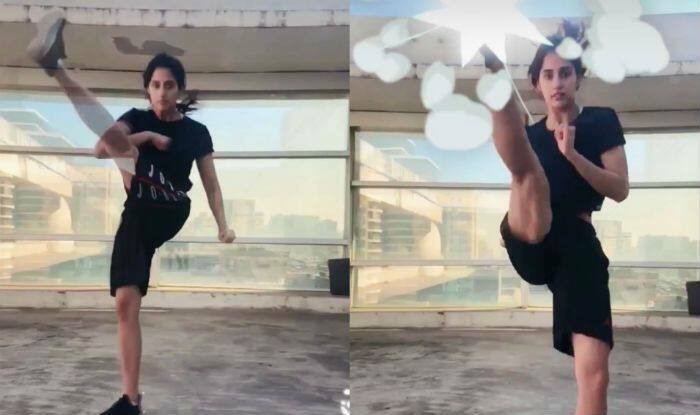 Dressed in a black crop top and lowers, she showcases a high kick in her latest video.